You may have heard already on the news, but on the 1st of April inflation made an impact on the world of energy bills, and that is no April fool. The trouble is, energy is something that all of us need in order to keep our families warm and run our houses. Energy companies know this, which is why a price increase is always met with frustration across the UK. This price increase is no different. The reason that this particular price increase is happening is because we have just welcomed in a brand new financial year. When this happens, it often triggers price increases, such as TV providers, mobile phone companies and also council tax too. This has definitely happened this year and really, there is no rhyme or reason to it. It is simply because the cost of living rises each and every year and there is nothing that we can do about it. How much are energy prices likely to go up by? Ofgem, the regulator of all the energy companies in the UK announced recently that the cap that they had placed on energy companies is being raised. This cap is set to ensure that all energy companies have the same limit that they can charge the customers who are on a standard energy tariff. As the cap is raised, it makes sense that the energy companies will then raise their prices, which they have. In fact, the big 6 have increased their prices by 10%, or in some cases even more. Not only this, but even some of the smaller companies are following suit. This increase has meant that the average energy bill is £117 more than it used to be. Along with this, there are some fixed tariffs that are also coming to an end. And for those customers who will then be entering the default rate, they are looking at a price increase of as much as £287 for their energy bills! As you can see, it has never been more important that you take the time to make sure that you are with the right energy company. 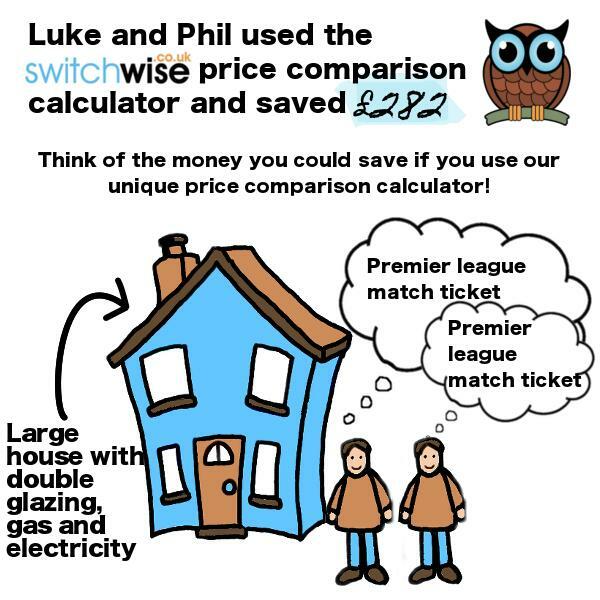 We know that it can be hard to find the time to sit down and compare energy providers but we can make it easier here at Switchwise. Our website is designed to help you to compare energy prices, and make sure that you save yourself as much money as possible, even with the increase.